: Soursop fruit is rich in fiber and is high in vitamin C, B1, B2, phosphorous and calcium. 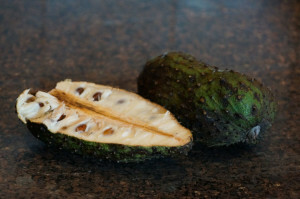 There is evidence that soursop fruit inhibits the growth of human breast cancer cells. This research was done in vitro, however the effect has not been studied in humans. A lot of people are calling soursop fruit ten thousand times more effective than chemotherapy. As I did more research into this as well I found an article where it was explained that “cancer is not one disease, it is a spectrum and even within one kind of cancer there is not one cure that fits all.” In laboratory studies soursop extract has been shown to kill some types of liver and breast cancer cells that are resistant to certain chemotherapy drugs, but there haven’t been any large scale studies on humans. Stevia is a great sweetener, thanks to Roger and his comments on Google plus about me always using agave or maple syrup for encouraging me to look into this sweetener again. Directions: Peel the soursop fruit and remove the seeds. Cut the fruit in half and remove the stem and seeds. 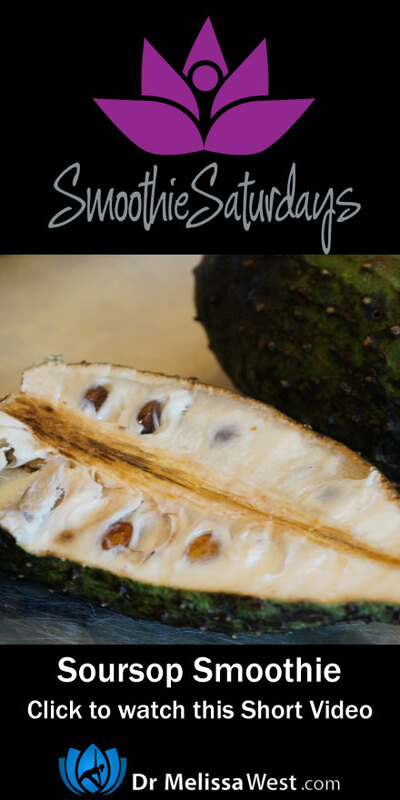 Blend the soursop with 3 cups of water and remaining ingredients in your blender.